SOLD in 5 DAYS for 98.8% of LIST PRICE in COMPETING OFFERS!! 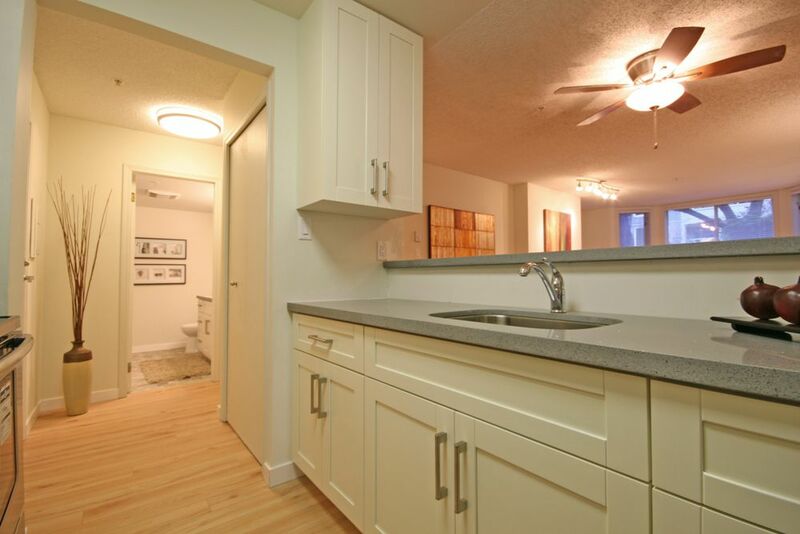 FULLY RENOVATED, SECLUDED & SECURE 1-BDRM garden-level suite in the heart of the West End, just steps from all the conveniences of Robson, Denman & Granville Streets. This very spacious west-facing unit is exceptionally quiet & located within in a secure gated beautifully-landscaped inner courtyard, with tranquil pond and waterfall. New beveled-edge laminate floors, totally brand new kitchen and bathroom with all new cabinets and quartz countertops. New stainless steel appliance in kitchen, custom marble tile flooring & ceramic tub surround in the bathroom, new front-loading washer and dryer, and cozy gas fireplace. Very proactive strata with newer roof, pipes, elevator, lobby and more. 1 parking and1 locker. Pets OK! More pics on Realtor's site.